소렌토, 이탈리아의 매그놀리아 소렌토 | 호스텔월드에서 예약하세요. 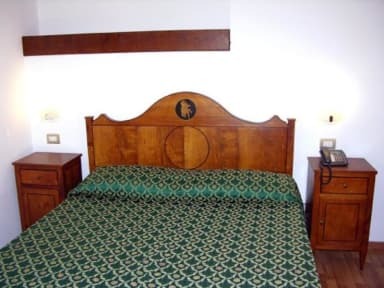 La magnolia is located near Piazza Torquato Tasso, centre of the city. The position lets customers to use easily all services that the city can give (taxi, bus, trains and links with Naples and the islands Capri and Ischia). The structure is a part of a Historical and noble house. 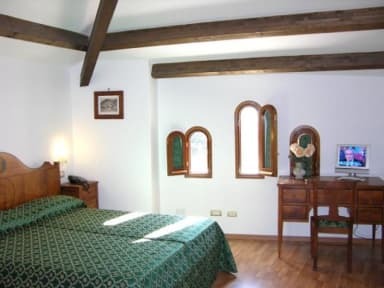 The seven rooms are new (January 2005) and fine furnished with wooden furniture hand made by artisan master of the Sorrento's tradition. At the reception is a Caffeterie to serve Breakfast. Double rooms all with Air conditioning, TV, mini-fridge, telephone, safe, toilet with shower box and hair dryer. By Payments is possible to rent Boats, cars and motorbikes and there is a parking nearby the structure.